Don’t let soil erosion ruin your landscape! Landscaping is an undeniably important feature of any property, and the soil on your property plays an important part in the property’s landscape as it serves as the foundation of it. 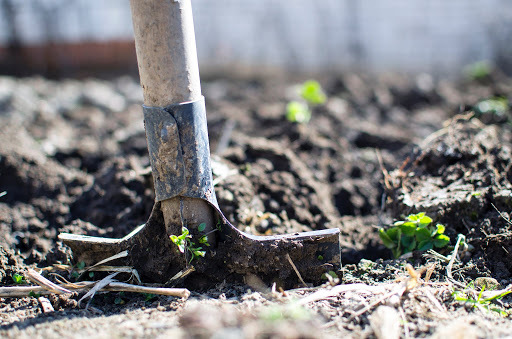 You want to be sure that you can take care of the soil of your yard and as a result, your landscape as a whole, even from threats that seem untreatable like soil erosion. Soil erosion might be unavoidable if it is a problem you encounter, but that does not mean it is not untreatable too. Here are the tips you will need to both identify and treat soil erosion in your yard. Running water carrying sediment away from an area is what causes soil erosion to occur. Soil erosion happens gradually and can be difficult to spot early on. If you are looking for ways to identify soil erosion, then you should look out for wet patches where the run-off from your property is. Also look out for cracks in the soil that are caused when soil leaves its original place. Plants that are failing are also an indicator since soil erosion carries much-needed nutrients that plants need away, so the plants are most likely failing as a result of this. Trying to treat soil erosion is costly, but much needed. You can add plants to your landscape that can act as anchors for your soil to help keep it in place and prevent it from getting carried away. Soil can be prevented from shifting by also laying down mulch over plant beds or other plant-free areas as well. Retaining walls are another effective treatment option. Soil erosion is preventable, but it can be difficult to find the early signs of it. An expert can examine your yard to determine if it is at risk. Putting in retaining walls and adjusting the way your gutters drain are ways to deter possible soil erosion, as well as using rocks to prevent streams from turning into gullies. For all of your commercial or residential needs, Atlantic Maintenance Group is ready to help you with our variety of landscaping, asphalt, snow removal, and concrete maintenance services. We are experts in our field, and we are prepared to meet your needs with a price and product that will leave you grinning. If you’re interested in getting a free quote or more information, visit us online or give us a call at (410) 768-4720. To see examples of our work and stay up to date on our specials, follow us on Facebook, Twitter, Pinterest, and Google+. This entry was posted on Friday, July 27th, 2018	at 5:49 pm	and is filed under Erosion	. You can follow any responses to this entry through the RSS 2.0	feed. Both comments and pings are currently closed.